NORTHBROOK, Ill., Oct. 30, 2017 /PRNewswire/ -- Astellas today announced Gary Thal, M.D., has been promoted to vice president, Specialty, Medical Affairs, Americas, reporting to Shontelle Dodson, Pharm D., senior vice president, Medical Affairs, Americas, effective Oct. 30. 2017. "Since joining Astellas in 2012, Gary has been integral in the building and leading a team of medical directors, medical science liaisons and Health Economic and Outcomes Research (HEOR) specialists across the cardiovascular, anti-infective and immunology/transplant therapeutic areas," said Dodson. "With Gary's leadership, we plan to continue to support our internal and external partners to translate insights into strategies to further define value of Astellas' products to patients." 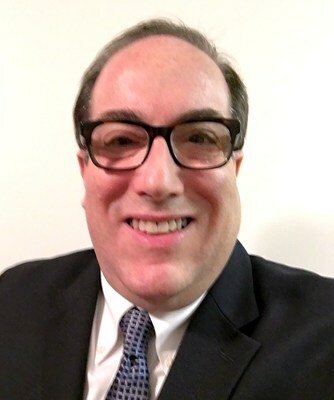 In his new role, Thal will assume overall responsibility for the strategic direction of the Specialty product portfolio within the Medical Affairs, Americas organization, including continued medical support of in-line products, late-stage development compounds and ongoing business support across the region. Prior to joining Astellas, Thal served as vice president, Medical Affairs Research, at Vertex Pharmaceuticals, Inc. He also held leadership positions in Medical Affairs at Bristol-Myers Squibb Company, in Princeton, New Jersey, and DuPont Pharmaceuticals in Wilmington, Delaware. Thal began his career as an attending physician in Anesthesia and Critical Care Medicine at the University of Illinois at Chicago, where he also served as an assistant professor of Anesthesiology. He also was an adjunct assistant professor of Anesthesia at the University of Pennsylvania School of Medicine in Philadelphia. Thal received a Bachelor of Arts from the University of Pennsylvania in Philadelphia. He earned his doctor of medicine from Columbia University College of Physicians and Surgeons, New York. Later, Thal earned a master's degree in business administration from the Kellogg Graduate School of Management, Northwestern University, in Evanston, Illinois. Astellas is a pharmaceutical company dedicated to improving the health of people around the world through the provision of innovative and reliable pharmaceutical products. For more information on Astellas, please visit our website at http://www.astellas.us/. You can also follow us on Twitter at @AstellasUS, Facebook at http://www.facebook.com/AstellasUS or LinkedIn at http://www.linkedin.com/company/astellas-pharma.